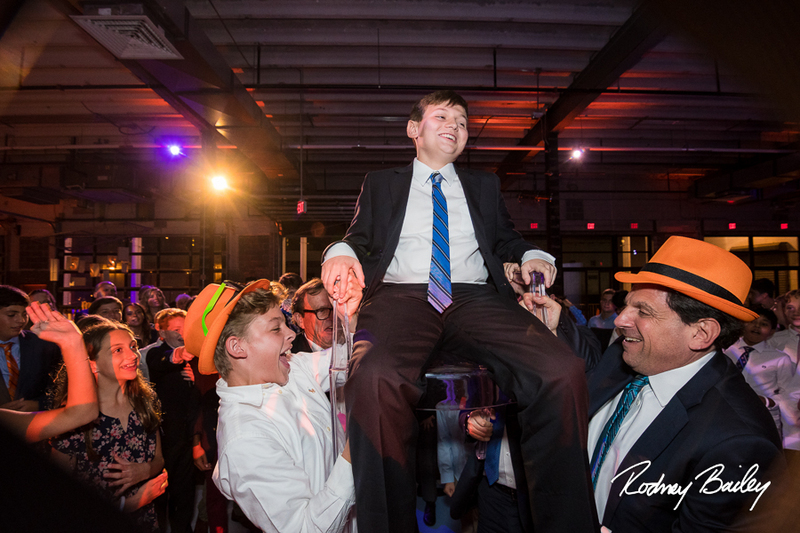 This blog features one of our favorite all-time Bar Mitzvahs! 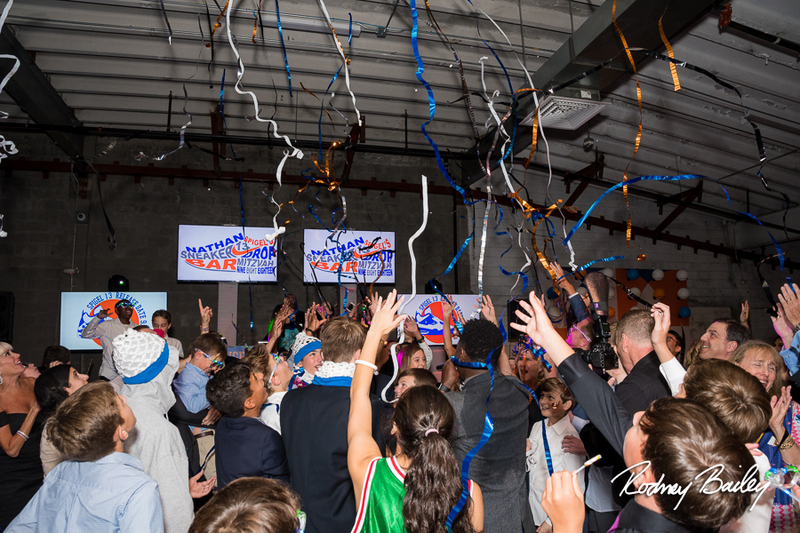 Nathan’s love for athletic shoes and basketball were reflected in this super cool, super charged Bar Mitzvah party at Dock 5 at Union Market in Washington DC. 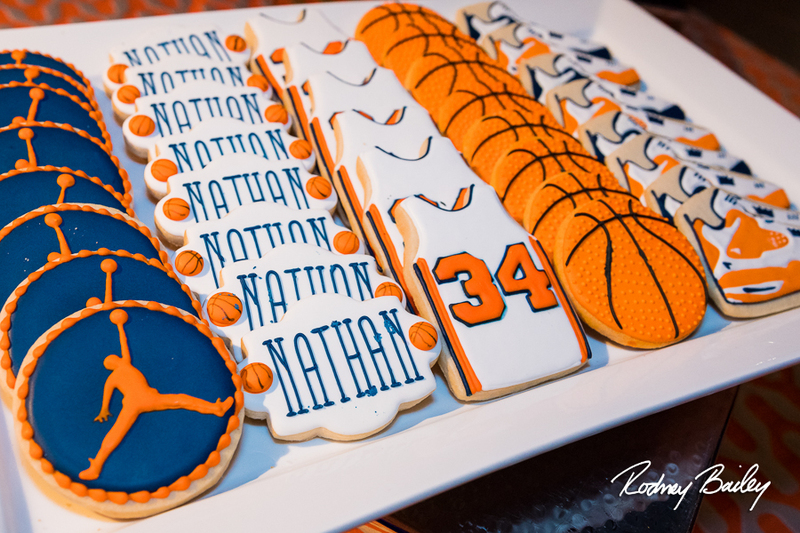 He was certainly the life of the party, and all of his friends and family had a blast celebrating with him. 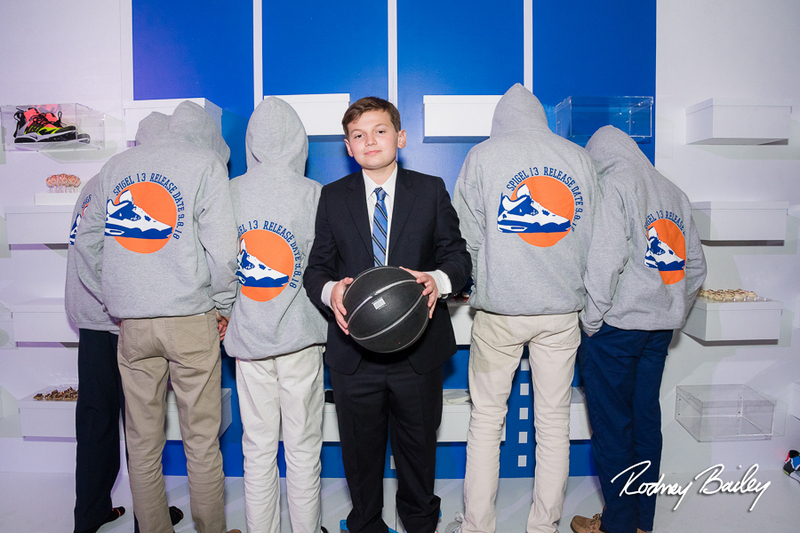 He is one special young man who is well-deserving of this party to kick off a monumental year. 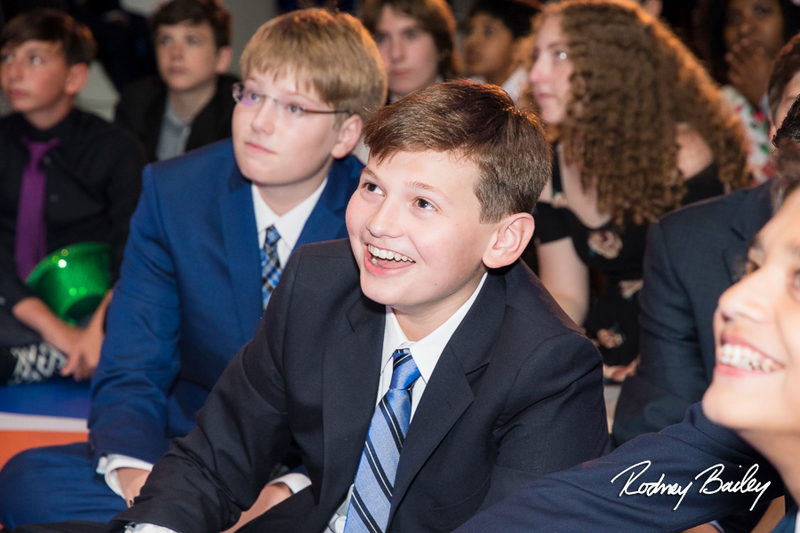 We have no doubt that he has an exceptionally bright future ahead of him. 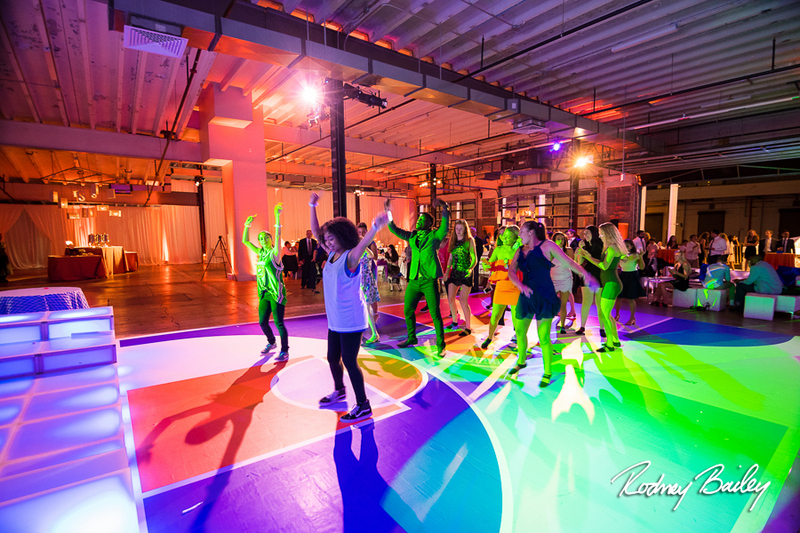 The Dock 5 event space at Union Market offers the perfect (and one of the largest) blank canvases for event planners to design their masterpieces. 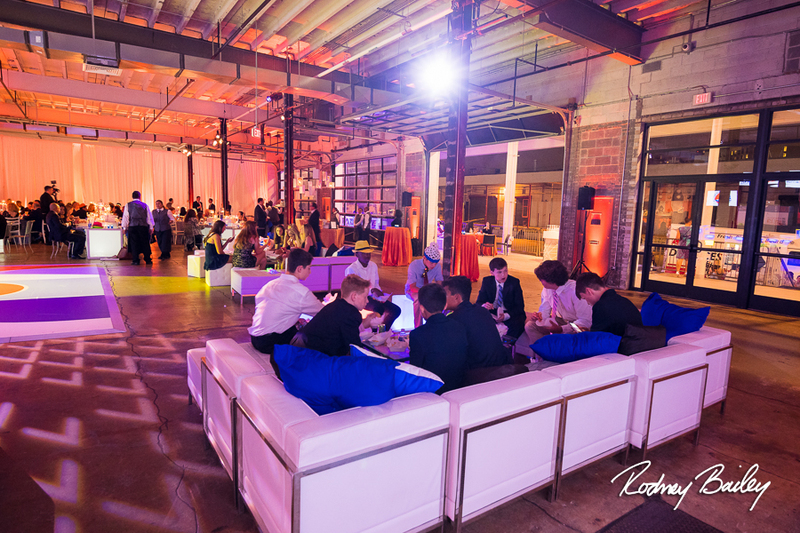 Located on the 2nd floor of Union Market, the epicenter of culinary creativity in DC, Dock 5 is a 12,300 square foot warehouse event space with an additional 700 sq. 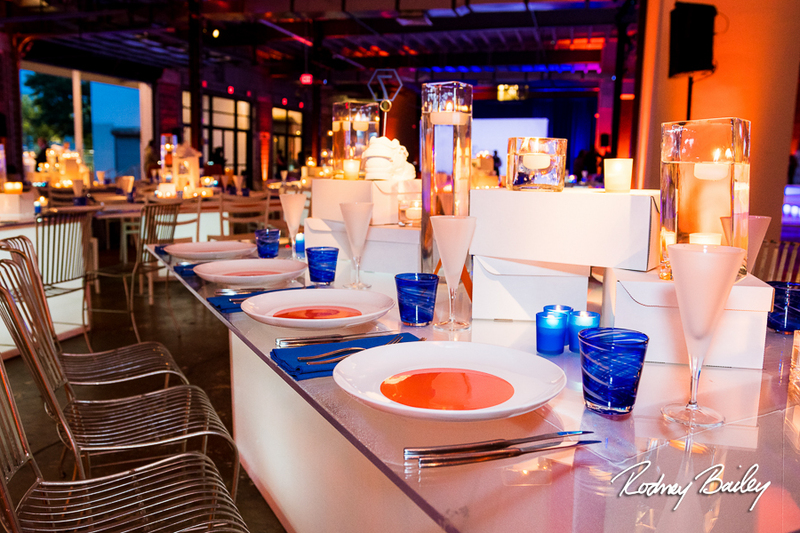 ft outdoor covered dock/terrace portion and private entrances in both the front and the rear of the building. 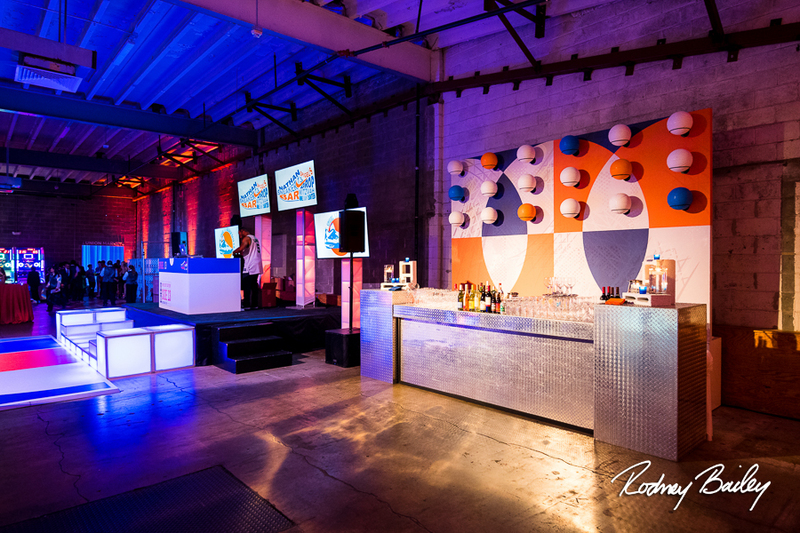 The space features large roll up garage doors, exposed brick and concrete floors. 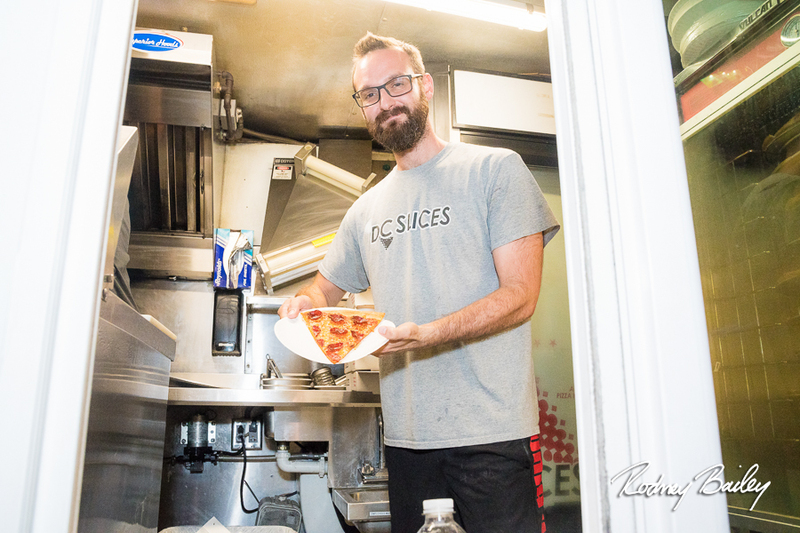 The market below has over 40 local artisans, entrepreneurs and makers who are innovators in the local food scene. 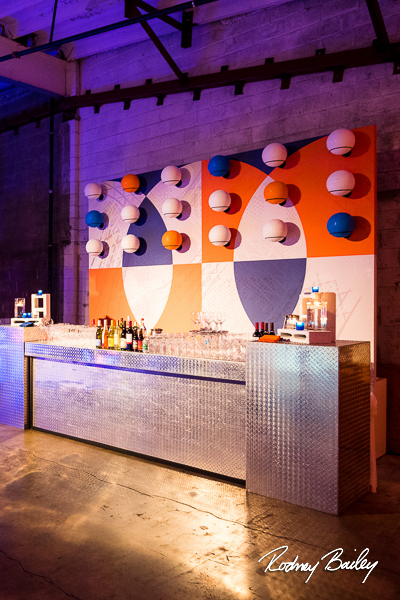 The eclectic space can accommodate large cocktail receptions for up to 1000 guests and seated dinners for over 400 attendees as well as festivals, expos and special events of all kinds. 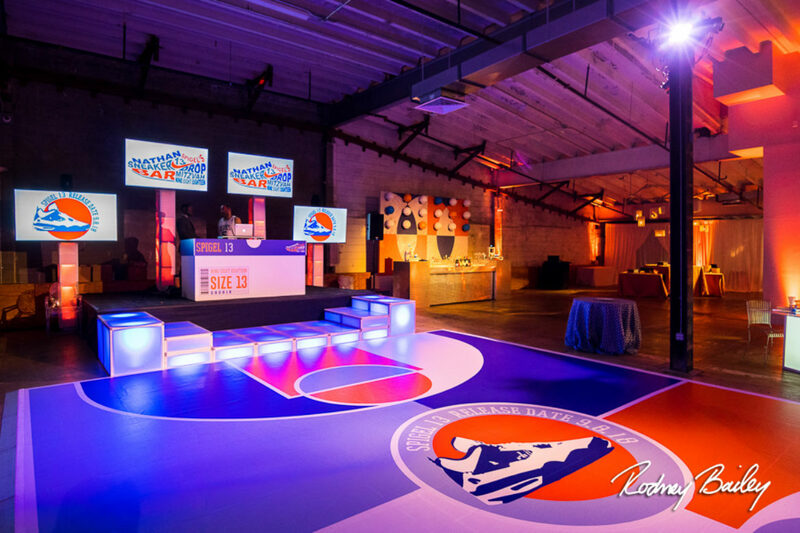 Dock 5 is located at 1309 5th St NE, Washington, DC 20002. 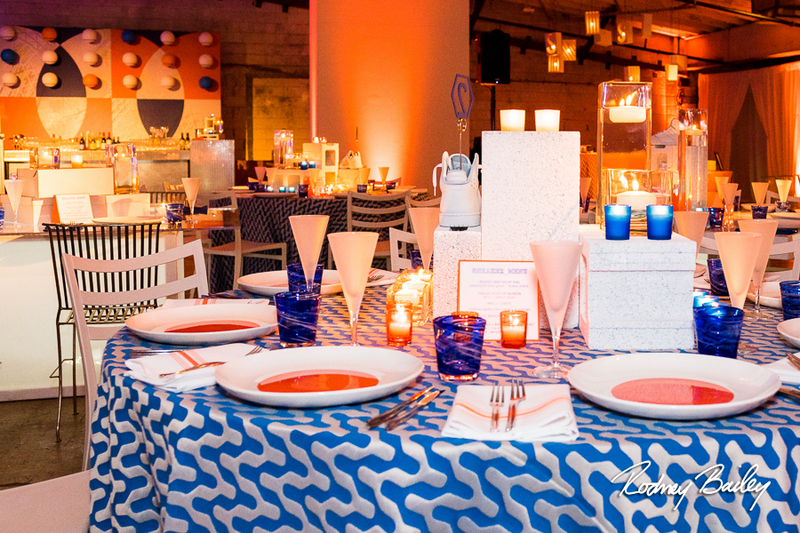 This event was meticulously designed by the talented Danielle Couick, owner of Magnolia Bluebird Design & Events. 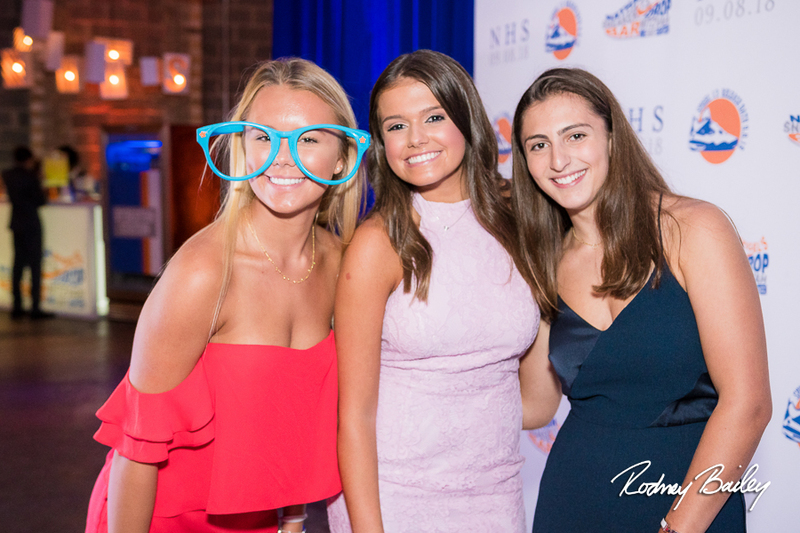 When it’s a Magnolia Bluebird mitzvah, we know it’s going to be out of this world! 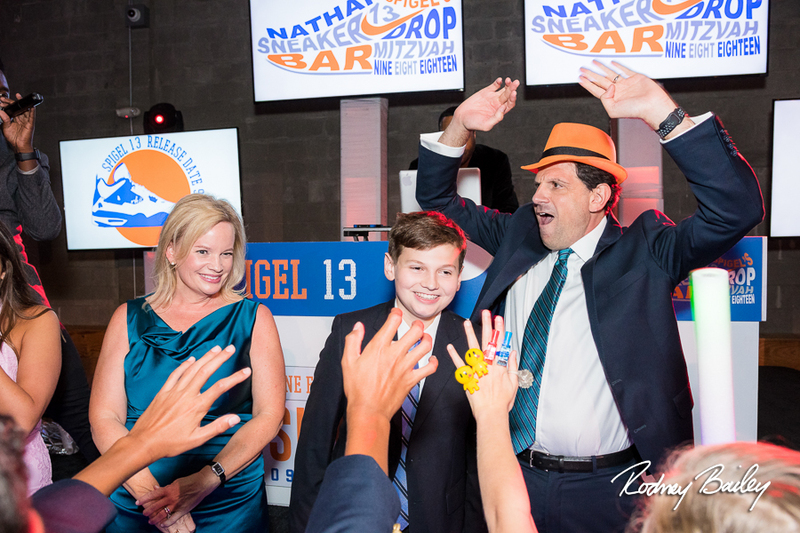 And, Nathan’s Bar Mitzvah didn’t disappoint…in fact, we think he scored some major bragging rights at school that Monday! 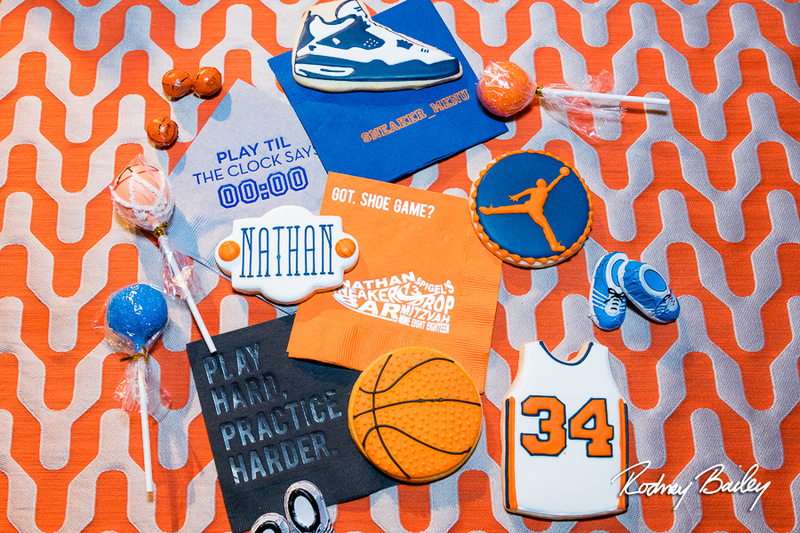 Danielle did a phenomenal job of making the athletic shoe and basketball theme come to life with designer sneakers adorning the tables and arcade-type basketball games for entertainment. 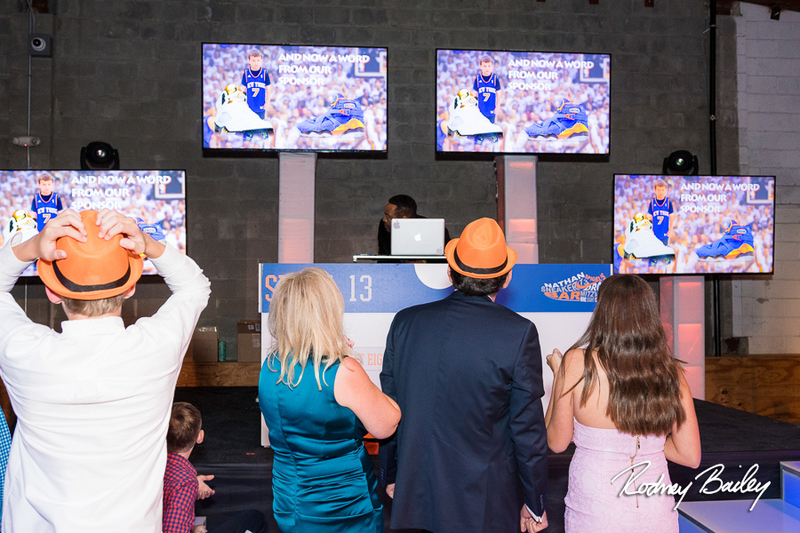 Screens featuring his favorite basketball shoes, photos, and “a word from our sponsor” showed off Nathan’s awesome personality. 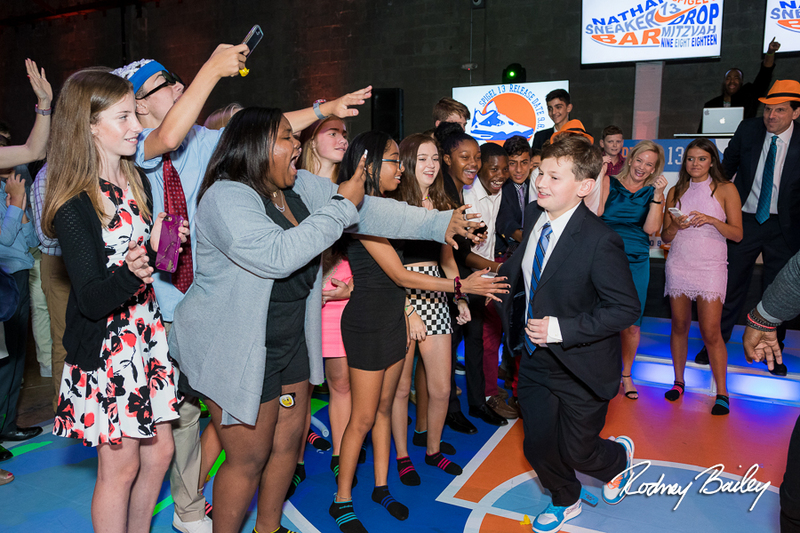 Everyone loved it when he ran out on the dance floor high-fiving his guests. 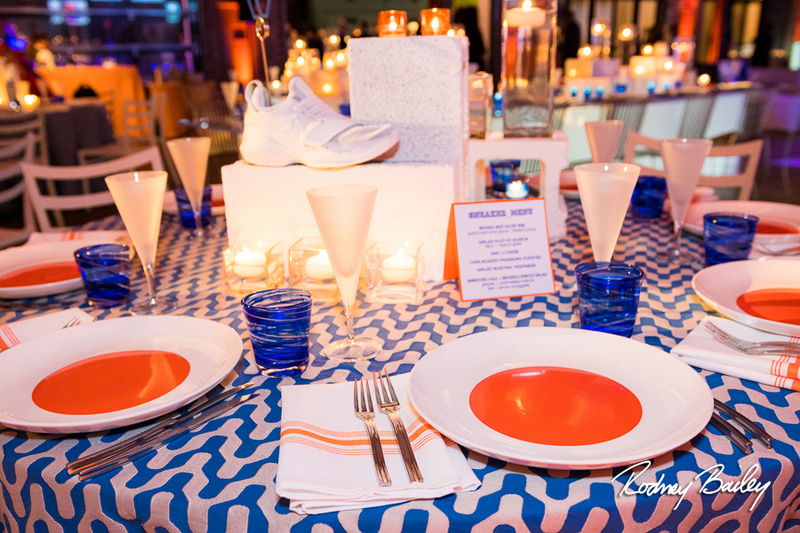 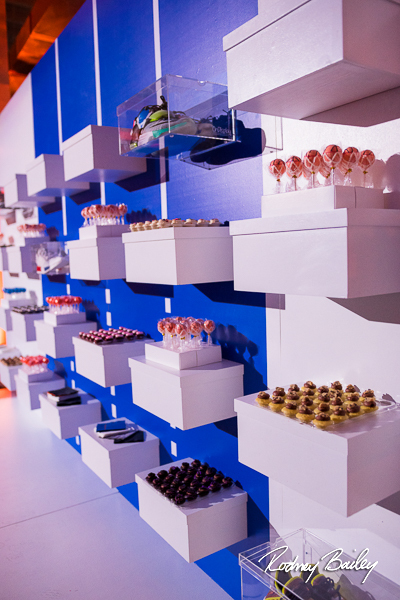 All of the drinks, desserts, and décor coordinated perfectly to pull off his sporty theme. 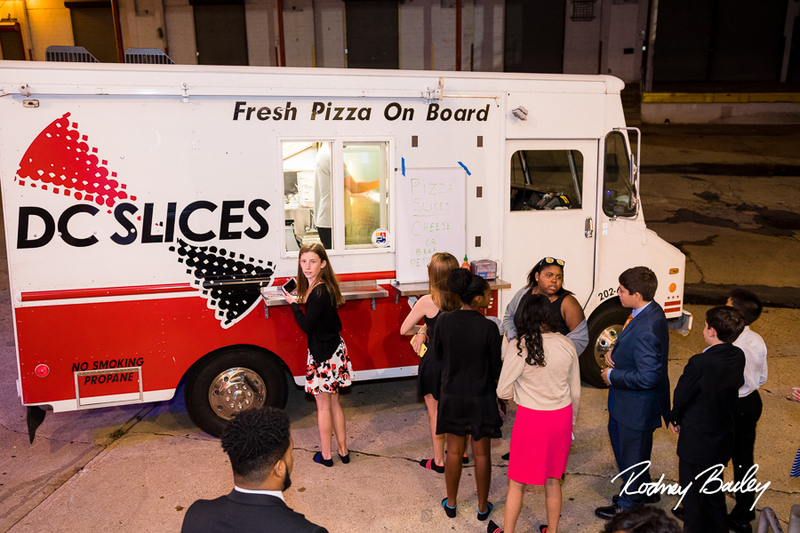 Just in case guests didn’t have enough to nosh on…how about a late evening pizza slice by the DC Slices Food Truck! 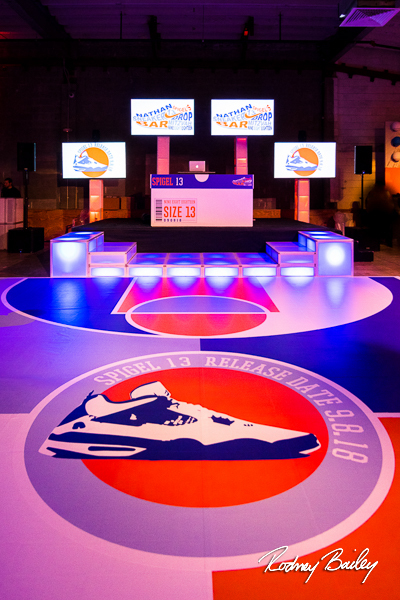 This was truly an epic evening, and the space was perfect for it. 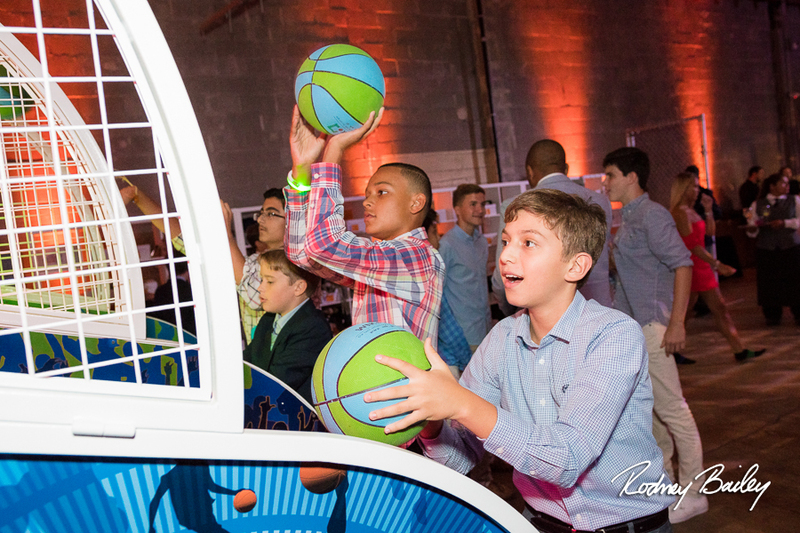 The kids could chat and play games in the lounge areas while adults mingled and enjoyed some classy cocktails. 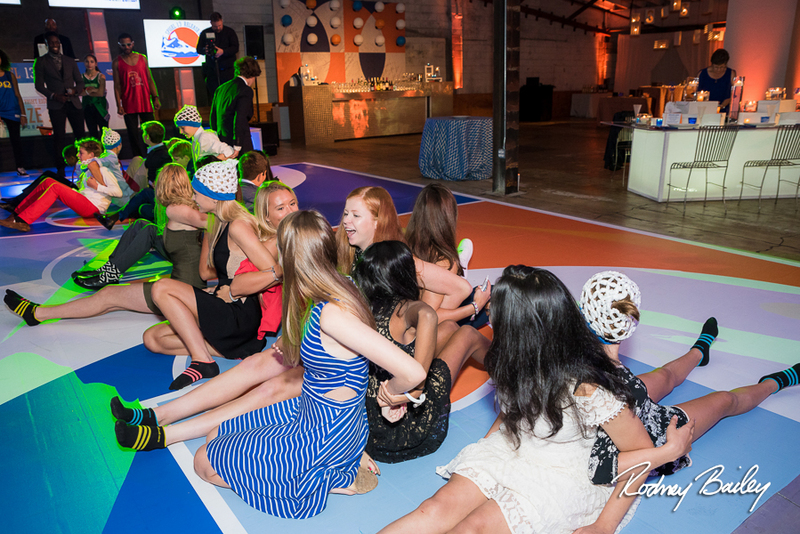 Guests of all ages showed off their moves on the dance floor. 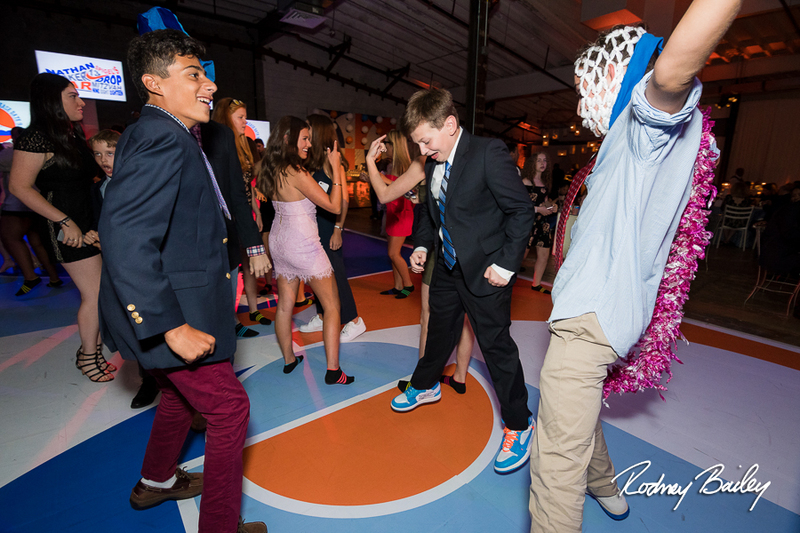 Photojournalism by Rodney Bailey’s team Washington DC Bar Mitzvah Photographers had a blast documenting this fun party!